If you are looking for tree services or tree removal in Chapel Hill, contact Everett Tree Service today! We provide tree services in Chapel Hill zip codes 27514, 27515, 27516, 27517 and 27599 for homeowners and commercial customers. With over 15 years of experience, Everett Tree Service is the right choice for you. Chapel Hill businesses and residents have relied on Everett for tree trimming, stump grinding and removal, storm recovery, mulch and more. We know that customers in Chapel Hill expect a high quality of tree services and tree removal and want their project completed by professionals with the right experience and equipment. Our team includes skilled tree climbers, crane operators, ground rope men and truck drivers. We always clean up the job site when we are done and leave your property in great condition. We are a fully licensed and insured company. 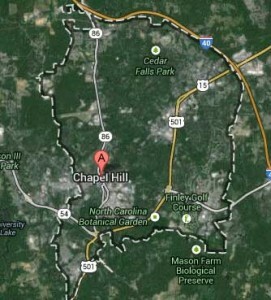 For more information on our tree removal services in Chapel Hill, contact us today or call (919) 271-6108.